Whether you've just moved into your new home or you're preparing for a move, there are still plenty of ways to decorate for Halloween without digging through boxes to find your decorations. Perhaps you might even discover a few ideas to cary out year after year. Speaking of boxes, we strongly believe in using what you already have around the house. Boxes are always plentiful during a move. 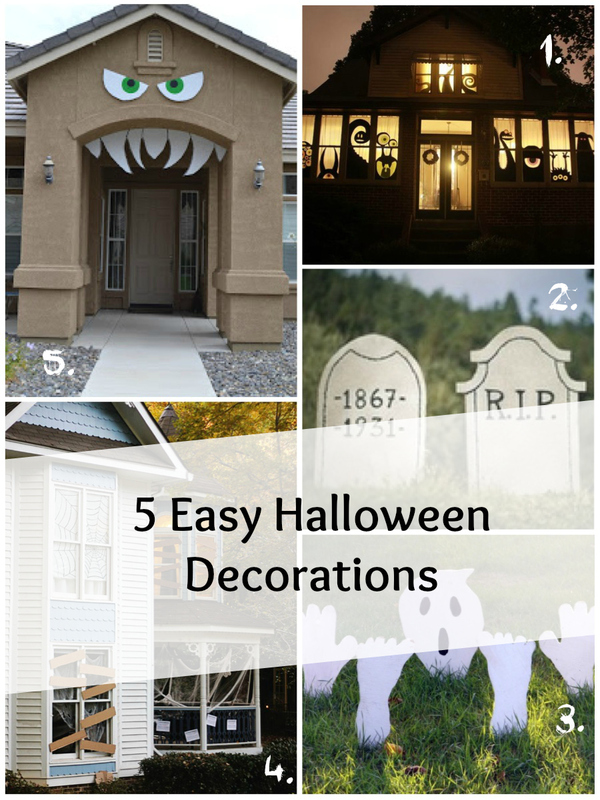 We've rounded up a few of our favorite Halloween decoration ideas for when you're living out of boxes. 1. Monster Silhouettes. These little monsters are incredibly easy to make and create such a grand effect at night. Put all those used moving boxes to use by cutting out minter silhouettes and placing them in your windows. Turn on your lights at night and you've got a house filled with monsters. There is absolutely no need to pull out the Halloween decorations when all you have to do is cut up a few boxes. 2. Tombstones. Tombstones are always a Halloween classic and incredibly simple to make out of moving supplies. Just cut out a tombstone shape and use a marker to write 'R.I.P' on the tombstone. That's it. 3. Ghosts. This lawn decoration idea will take a little more work if you only have brown boxes. Filling boxes are typically white, so use these to cut out the ghost shapes if you have any on hand. Otherwise, you'll have to paint your shapes white or use white duct tape. Tip: Add these ghosts in front of your cardboard tombstones for and extra haunted Halloween front yard. 4. Haunted House. 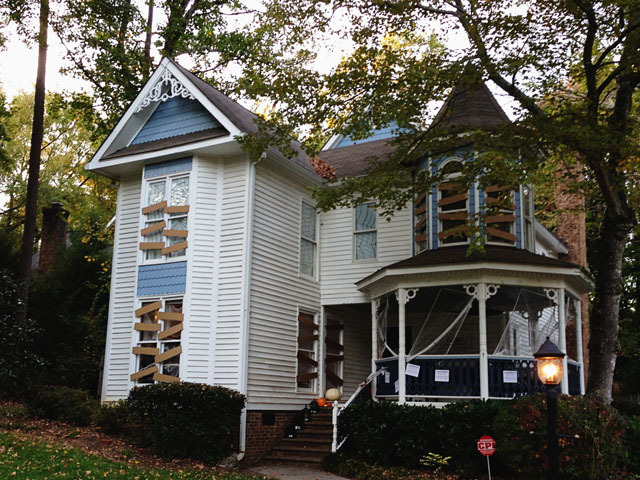 The ladies behind this spooky house have some great tips! 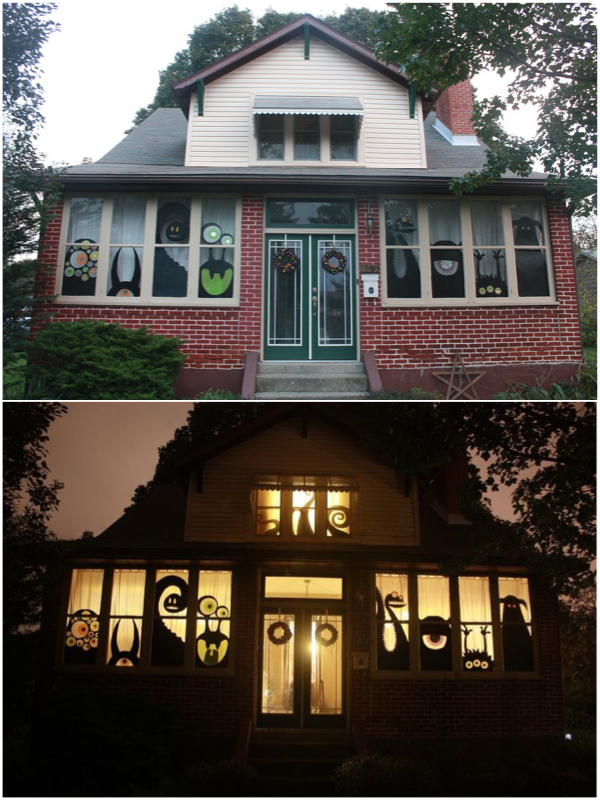 The cardboard boards covering the windows of this house are super simple and may be just what your looking for to add a little fright to your own haunted house without spending any money after a move or searching through your holiday decorations. 5. House Monster. Who doesn't love a house monster? This will require a little more work, but you are sure to be the talk of the neighborhood with this guy taking over your house. All of these ideas can be found here (via 1/2/3/4/5). Be sure to post your cardboard creations to our Facebook page! We always love to see how our fans creatively reuse their old moving boxes.